This watercolor belonged to my parents. shortly after we were married. a beloved reminder of family and our roots. Thanks, Tom. It’s always been one of my favorites. what a delightful reminder of all the important things, and so attractive! Thanks. I always felt honored to have it placed in our care. ah I’m guessing they knew that you would appreciate it! 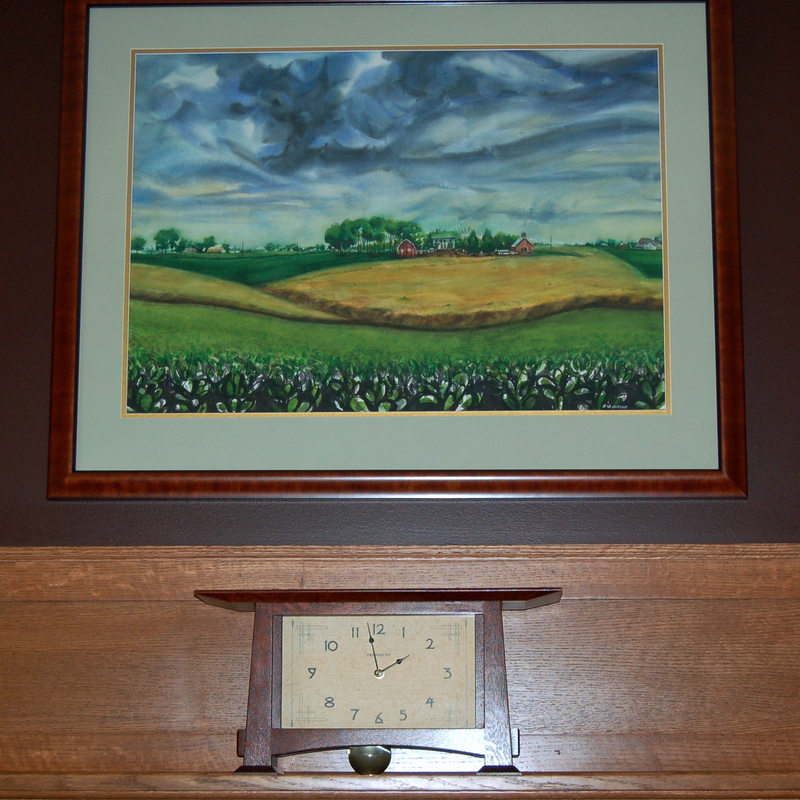 Lovely painting – and a cool clock! This is such a nice response to the beloved challenge. Such a wonderful scene in that watercolor the clouds, the crops. Really nice that you have given it a place of honor. Thanks. I was always partial to this watercolor. Great painting. Nice choice for the photo challenge.